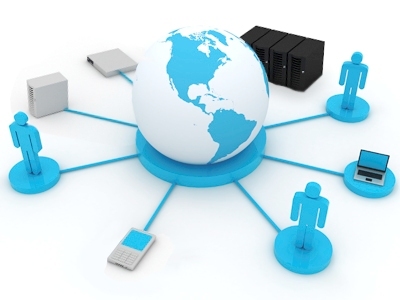 Computers allow users to communicate with many people at once or in far away places. It stands to reason that will the development of better technology yearly, computers will play a vital role in the ongoing support of information technology in the future. Computers allow users now to do many things such as writing much faster than a traditional typewriter or pen and paper would do. They also make it very possible to keep track of people, conduct business globally much easier than before and organize and store multiple files. communication that far outreaches what a traditional telephone could ever do. Of course the human brain is far more advanced than a typical home computer. Our brains allow us to keep track of things as well and to remember faces and names, find entertainment, love others and enjoy the simpler things in life. The future of information technology may very well involve using computers to enhance the human brain. Common computers are expected to possess the same or nearly the same capabilities as the human brain in the future. In another twenty five years or so it may be very likely that you will be able to have a computer that will possess the ability to feel emotions and have spiritual experiences. Of course this prediction will be met with skepticism as all others have been in the past. The first gasoline powered vehicle was met with much scrutiny as was the first airplane. Society as a whole does not generally accept things that it can not understand or control. Believing that scientific technology can produce a computer that is capable of human emotion is so far-fetched that many simply will have to see it to believe it. It does stand to reason however, that if developments have come as far as they have today, then having a better and more efficient information technology in the future is virtually a given. More advanced computers that can help those with memory loss problems or virtually run your entire brain may seem too far in sci-fi land to believe but stranger things have happened. Medical science has come a long way since the turn of the twentieth century. Many things have come into play that were never believed to be possible. The world may not ever see a computer that will retain memory of an individual’s life, but then again it may. The computers in question will have the ability to hold images, videos and anything else that the memory retains within the human brain. Information will be kept forever, which will make it much easier to conduct personal and professional business. Those who acquire Alzheimer’s Disease will have the ability to retain their memories and their personal life information in spite of the disease that typically takes all that away. Keeping your personal life information and history safely stored in a computer may seem like a reach beyond belief but it very well may happen in the foreseeable future.